LIVE COMMENT !!! RC TRUCKS RC CATERPILLAR 963B TRACK LOADER @ RC CONSTRUCTION SITE !!! 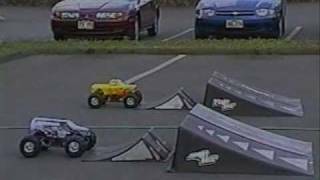 RC ADVENTURES – RACiNG & BASHiNG 1/5th Scale RC TRUCKS – Losi 5T, Baja 5SC, Baja 5T & MORE! TRCC TRAILS – BBQ Burger run! 15(ish) trucks! and a few trailers too!